Originally from New York City, Troy Strother has spent his career in education and managing non-profits, ultimately leading him to his current position as director of programs for YouthBuild USA in Charleston. He joined the Charleston County Public Library Board of Trustees in 2015. 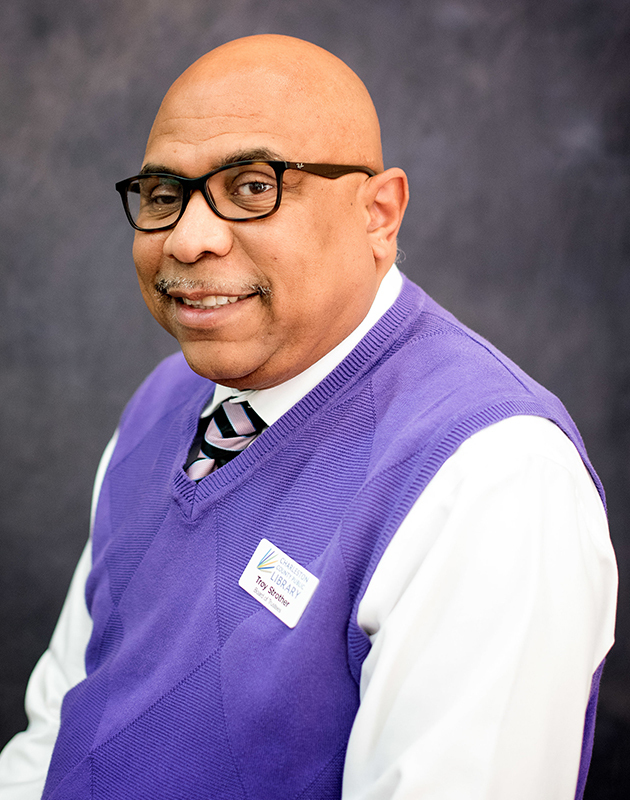 Strother started his career with the New York City Housing Authority and worked with the National Association of Service and Conservation Corps in Washington, D.C. before moving to Charleston to work for Youth Service Charleston and the Boys & Girls Club of the Trident area. He is active in numerous community organizations and committees, including: The Mayor's Commission for Children, Youth and Families; The Dropout Prevention Taskforce; The Advisory Council for the Charleston County School Health Committee; The National Association of Service and Conservation Corp; Low Country's Promise; the Association of Fundraising Professionals; and Footlight Players. He received a bachelor's degree in fine arts from the College of Santa Fe and a master's degree in education from New York University. He lives in Charleston with his wife and daughter.